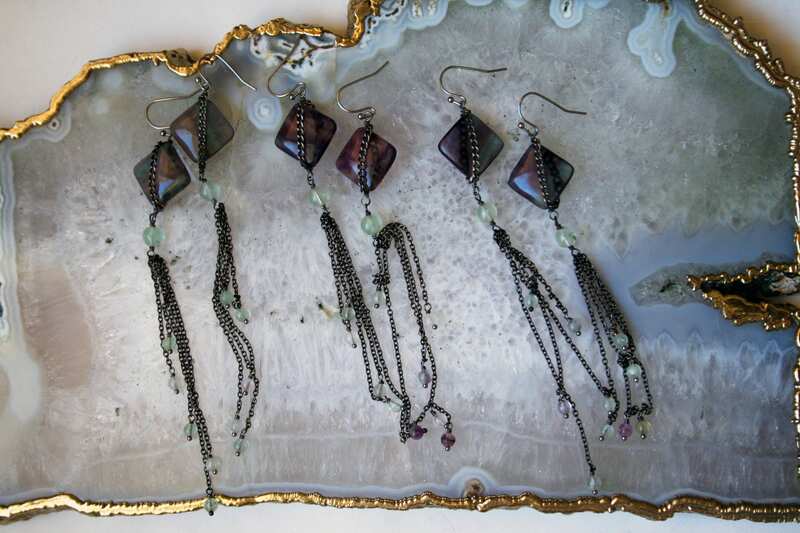 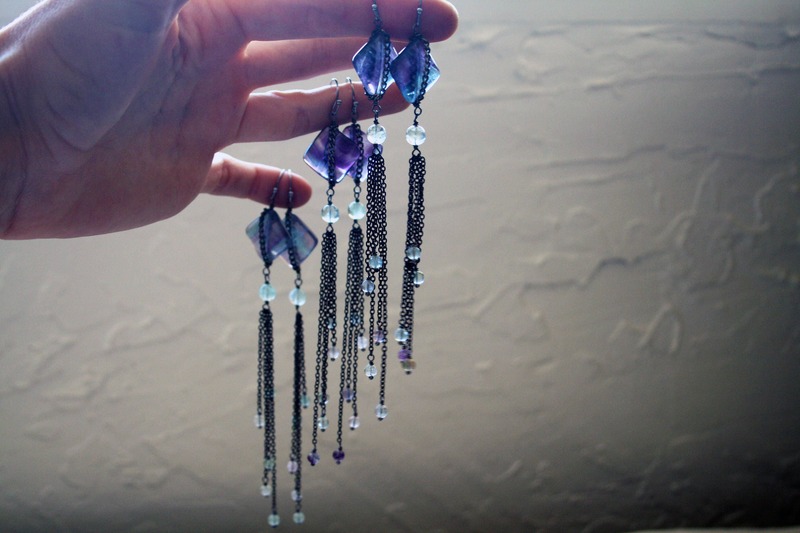 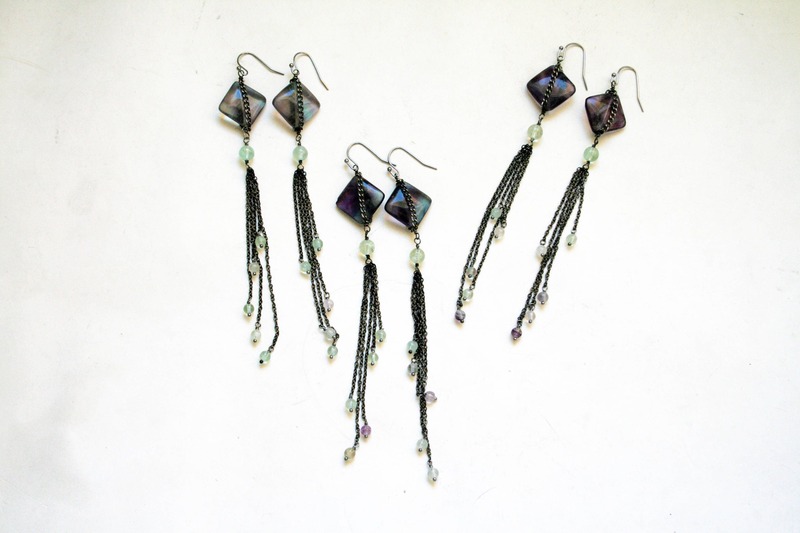 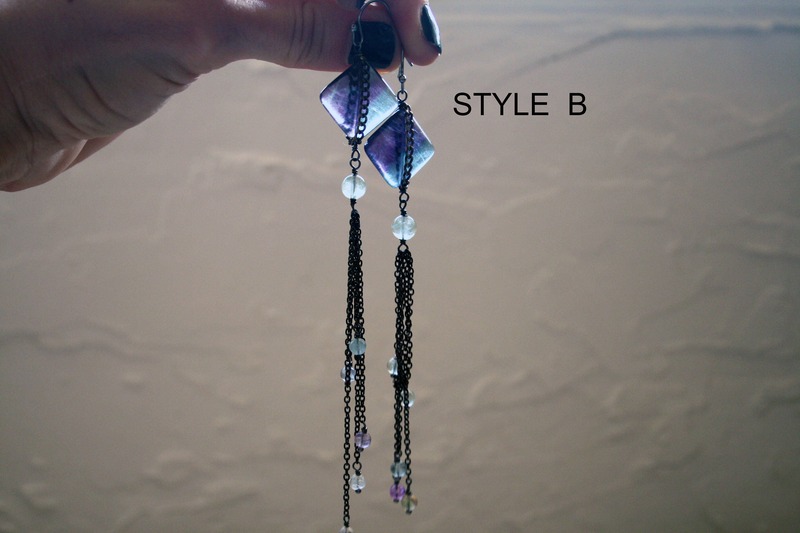 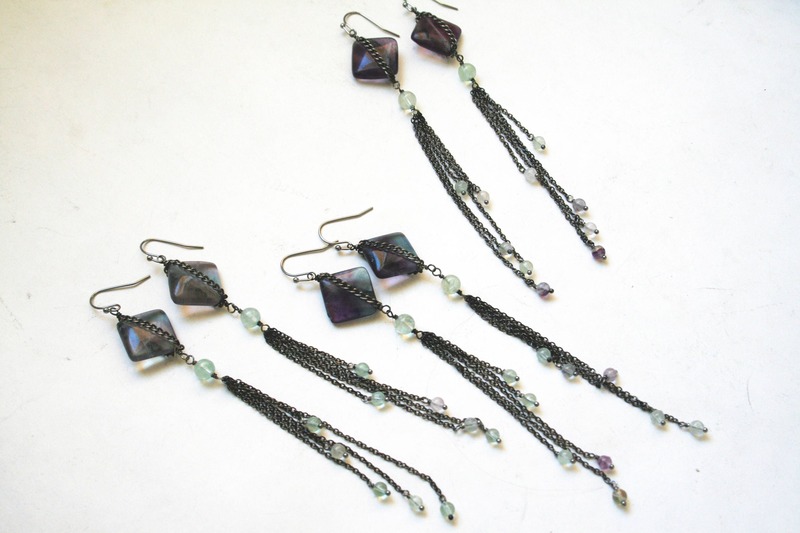 One pair of earrings, featuring polished rainbow fluorite stones, with cascading rows of gunmetal plated brass chain with rainbow fluorite beads, on stainless steel ear wires. 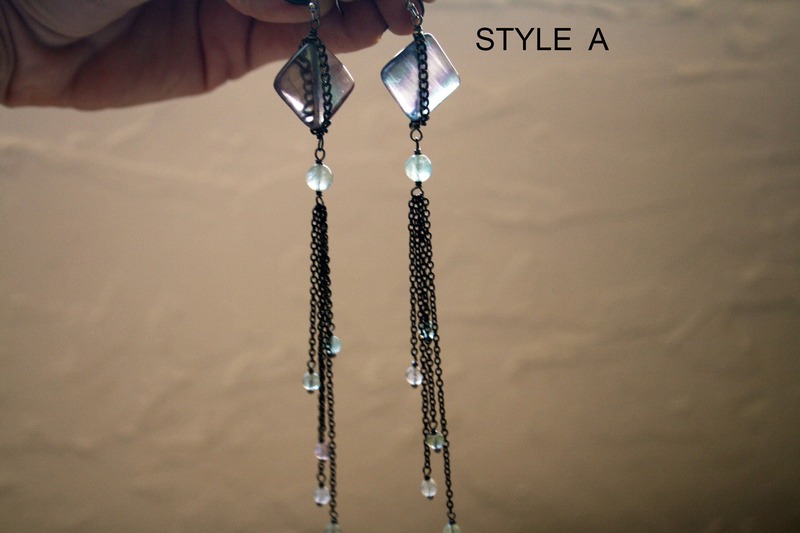 Extra long, total length of each earring is about 5.25" from the top of the earwire to the bottom of the fringe. 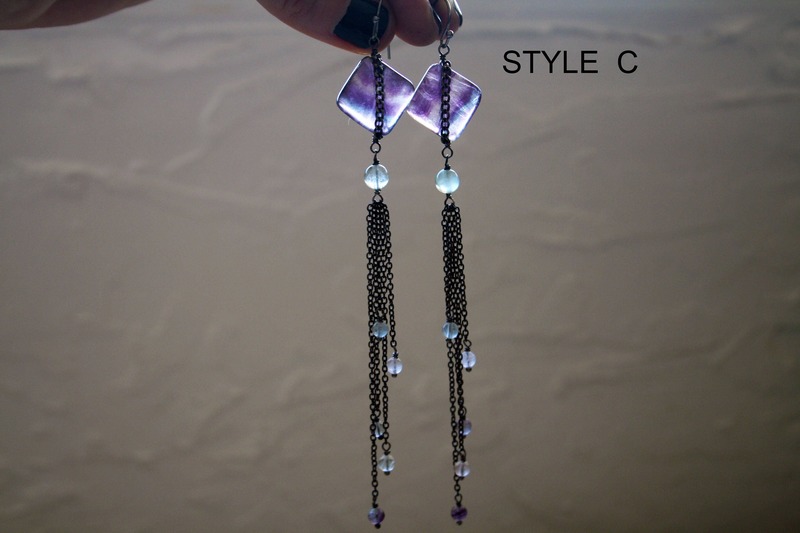 You will receive the exact pair you select.